Independence Day: What would Founding Fathers say? Click here to see the large-print version! 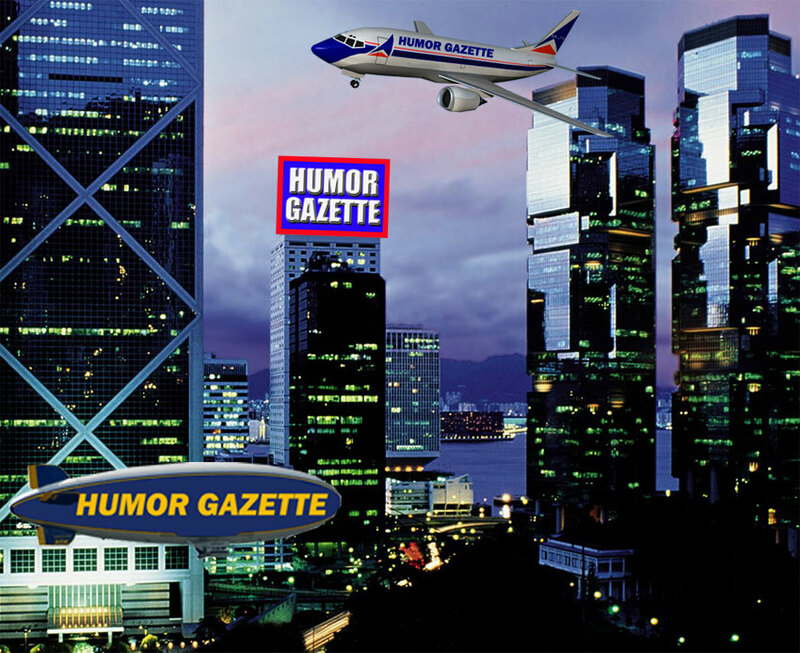 Hi, welcome to the Humor Gazette. I'm John Breneman, lifelong journalist and humorist -- four-time winner of the coveted Photoshop Yourself Onto a Wheaties Box Award. I've posted hundreds of humor items here since my friend Jeff helped me launch the site in 2003. Recently, I've been snooping through my archive of newspaper stories, and have decided to post some of my favorites. I was not scheduled to be in the newsroom on Sept. 11, 2001, but when I got there I was asked to write this essay to lead the next days front page. I was honored to meet Miss Ruth Jones, a proud descendant of the legendary abolitionist Frederick Douglass, at her home in Cambridge, Mass., on her 100th birthday. One of the highlights of my five years editing the Cambridge (Mass.) Chronicle was our 150th anniversary edition of the Chronicle (honored as the years Best Special Section by NEPA). I welcomed readers to the magazine with these words. Ive been reporting on New Hampshires famed presidential primary since 1988. Heres my take on Al Gores visit to Portsmouth during the 2000 campaign. Bill Walsh was an extremely controversial Cambridge city councilor who disappeared after being indicted on bank fraud charges. I got him on the phone just before deadline for this interview. My community was already reeling from an Air Force base closure when the news came that Loring AFB in northernmost Maine would also be shuttered. So I took off on a 24-hour road trip that produced this reporting. Facing re-election, then-Gov. Bill Weld had this unexpected encounter with possible challenger Rep. Joe Kennedy. Ozzie Sweet, photographic legend, is one of my favorite people of all-time. Due to some recent confusion about when it is OK to shoot someone, today we check in with noted firearms advice columnist Professor Gunn, who generously agreed to answer a few questions from readers. For a good while now I've been itching to shoot a fellow human being, but I'm a little worried that our judicial system might send me to jail. What should I do? The Fourth of July isn't till Thursday, but there sure were some fireworks this week illuminating vital American issues of immigration, the right to vote and the ability to pursue happiness by marrying the person you love. The Supreme Court fires a rocket into the Voting Rights Act. Ooh! Then sparks celebrations, and tantrums, with its vote on gay marriage. Aah! The Senate blazes forward on immigration reform, igniting opponents in our horribly dysfunctional House. Ooh! Aah! I'm hoping these political pyrotechnics provide a high-voltage jolt to a democracy badly in need of one  as well as to we the citizens who supposedly run the show. We are a people suffering a blinding hangover from out-of-control parties  and I don't mean the fun kind. PORTSMOUTH  Seriously, Chicago Tribune travel writer Josh Noel? Portsmouth is that perfect? "So ideal that I ache, I envy and I curse my childhood for not including your idyllic splendor?" In case you haven't heard, "perfect" Portsmouth got a poetic pat on the posterior last week from a Windy City travel columnist who blew in for a quick visit and discovered a charming, brick-lined paradise where the only litter is dollar bills and homeless people dine on free lobster. The breathless opening of his Port City paean  mimicked, then quoted above  has inspired considerable fresh-roasted coffee talk about whether his overly effusive tone and whimsical sentimentality included at least a modicum of gentle mockery. Yes, the official start of summer is a little ways off. But we all know that when the calendar hits June, summer can strike at any moment. And I think the heat may already be getting to me because I'm supposed to be writing something on deadline, but I can't seem to stop gazing out the window. The sun is shining. Birds and bees are chirping and buzzing. And we're all wearing, on average, 1.7 pounds less clothing than this time last week. For the human species, summer signals a return to those warm-weather passions like going to the beach, bobbing around on boats and grilling up heaps of juicy, charred animal flesh. Yes, hail to the sun. O, benevolent provider of Vitamin D. It nourishes and sustains all life, and just basking in its rays can make you feel sky high. But, beware, because this evil yellow blob of hydrogen and helium can also put you in the ground. Bust out the e-candles and virtual cake ...; the Internet has turned 20. Created either by brilliant scientists or by God himself, depending on your political beliefs, the Internet has given us countless spectacular advances in the way we live  and avoid living  our lives. Don't worry about buying a gift. Because, really, what do you get for the all-pervasive global system of interconnected computer networks that has, literally, everything? I began writing about the Internet back when it was just a toddler. And I have to admit I was highly skeptical and a smidge cynical about this new sci-fi reality called Cyberspace. "Some say Cyberspace is humanity's next great frontier. Others say it's South Berwick," said me, back in 1998. Finally rode my bike to work on Thursday  just a man and his trusty iron steed. We're a couple of old-timers, he and I. Combined age: 84. He's about 33, so that makes me what, 29ish? And though I am pretty sure we weren't the oldest man-cycle combo to saddle up for Bike to Work Week, my vintage Peugeot mountain bike could've been a contender for creakiest contraption on the mean streets of Portsmouth and Newington that day. At least the creaks, rasps and groans emanating mostly from the crank case drowned out the softer sound of my own knees grinding (though fortunately not yet "bone on bone" as my mom is quick to inquire). Ever since I ditched my Boston commute to join what is pound-for-pound one of the finest media organizations in the entire Fourth Estate, I've been periodically flapping my gums about riding my bike to work ... one of these days. Hey, it's Mother's Day. And, like any grown son, I am determined to do whatever it takes to let my mom know how much she means to me. But enough talk. Let's get to it.